This week-long endeavor has left a powerful ripple effect which continues to this day. The testimony provided by the participants measurably changed the perspective of every one of the panel members, several of whom expressed deep dismay over the extent and gravity of both the phenomenon itself and the cover-up associated with it. I played an active role in the Citizens Hearing, providing six formal statements, five of which were delivered before the full panel. I think it’s a good idea to provide the text to each of these presentations to this site. I am also in the process of negotiating a way to make each of the videos available, as well. When I do, they will be attached to each of these posts. 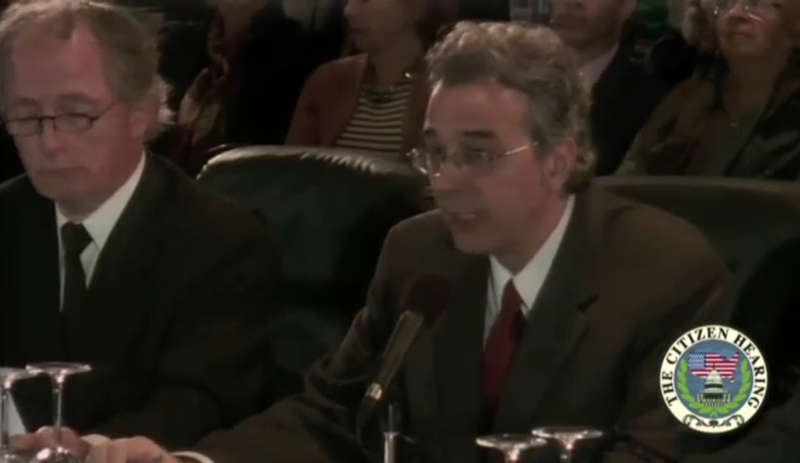 My personal goal during the hearings was to use each of my statements to help walk these retired members of Congress through the difficult subject of UFOs; no matter what any other participant said during that week, I wanted my statements to be an essential education to the subject. For that reason, I believe they are best experienced in order. What follows was my first statement. It was, in fact, the very first testimony offered for the proceedings, leading off at 9 a.m. on Monday, April 29, 2013. For those who are interested, I adapted much of this statement from my first book, UFOs and the National Security State (V1), especially the Introduction. I thought it would be a good way to kick off the week. 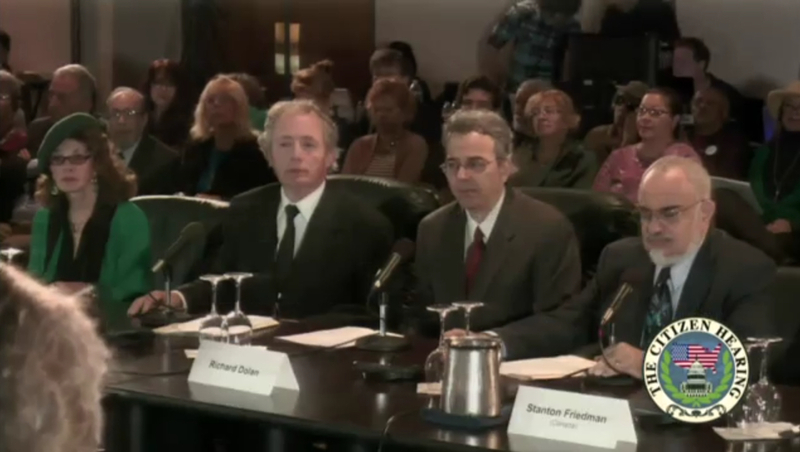 [This was during the opening moments of the Citizens Hearing on Disclosure, as we were taking an oath “That I hereby affirm, that I will tell the truth, and nothing but the truth, to the members of this committee today.” From Left to Right: Linda Moulton Howe, Grant Cameron, myself, Stanton Friedman]. The UFO problem has involved military personnel around the world for more than sixty years, and is wrapped in secrecy. Because this subject is so widely ridiculed, it is important to stress why it is worthy of serious attention. Stories of strange objects in the sky go far back in time, but from the 1940s to our own era, military personnel from the United States and many other nations have encountered unidentified flying objects visually and on radar, sometimes at close range. These events happened not scores of times, but hundreds of times, and most likely thousands. Sometimes, the encounter was nothing more than a solid radar return of an object moving at an incomprehensible speed, performing impossible maneuvers. Sometimes it included the violation of sensitive air space. Often it involved the dispatch of one or more aircraft to intercept the object. At times, crew members have claimed to see a metallic, disc-like object, sometimes with portholes, sometimes with lights, frequently engaged in what appeared to be intelligent, evasive maneuvers. In a very few cases, it appears to have involved the military retrieval of a UFO. In a few others, it involved injury and even death to military personnel. In a very large number of recorded instances, military personnel who encountered UFOs were adamant that they did not see a natural phenomenon. This is clearly a serious development, and it has been treated as such by those groups charged with maintaining national security. The CIA, NSA, and all branches of military intelligence have historically received UFO reports and discussed the matter as something of serious concern. And yet, the military and other branches of government have created the fiction, for public consumption only, that the UFO problem is nothing to be concerned about – certainly not the result of little green men. We are fortunate that, starting in the 1970s, the U.S. Freedom of Information Act began to help researchers learn some of the truth that lay behind the facade of propaganda. We learned, for example, that some U.S. military analysts initially feared that the Soviet Union might be behind the “flying saucer” wave of the 1940s and 50s. They studied this possibility, but rejected it. They also rejected the possibility that these were secret American technology. Indeed, options quickly narrowed. Either this was something real and alien, or it was something “conventional” but as yet unknown or unexplained. Already, by the end of 1947, a contingent of analysts at the Air Technical Intelligence Center (ATIC) at Wright-Patterson Air Force Base believed that UFOs were extraterrestrial. By the summer of 1948, this team prepared what they called an “Estimate of the Situation” stating the extraterrestrial thesis. The response: the team was dispersed and reassigned. Yet, thanks to FOIA and the courage of a few senior officials to go on the record, we have a collection of statements about UFOs that are so numerous as to be impossible to mention all of them here. But a few might give you an appropriate flavor of what I mean. Landry went on to say that he continued to brief President Truman, in conjunction with the CIA, quarterly for the rest of the Truman Presidency. That’s no less than sixteen briefings. We might want to know why a man as busy as President Truman would take the time out of his schedule to have so many meetings about UFOs? And yet, we have no official transcript or record of these briefings. [Object] described as flat on top and bottom and appearing from a front view to have round edges and slightly beveled … No vapor trails or exhaust or visible means of propulsion. Described as traveling at tremendous speed…. How much clearer a statement should responsible citizens, academicians, media, and political leadership require before demanding to get some reasonable answers as to what is going on behind the scene in relation to the phenomenon of UFOs? Because the problem certainly did not end during the 1960s, or 1970s, or 1980s. It has continued to the present day. Perhaps we might like to know… precisely which things? What blue object can descend at an 80 degree angle, then stop, then reverse course, and then accelerate away from two F-16 jets? Over Chicago’s O’hare Airport, in November, 2006, we saw the same kind of situation. A dozen United Airlines employees, including at least one pilot while on the ground, saw a hovering disc-shaped object below the clouds. It then accelerated away so suddenly that it left a hole in the cloud. United ordered its employees to silence, but one of them reported the event, anyway. After denials by United and the FAA, both agencies were forced to acknowledge that, indeed, those individuals had made UFO reports. Again, we might ask: what might this have been, over one of the busiest airports in the world, and why the steadfast silence and denial? These are only some of the better known recent cases. There are, in fact, an overwhelming number of them. The two largest websites for collecting North American UFO reports, the National UFO Reporting Center and the Mutual UFO network, have a combined total of well over 10,000 reports every year. Clearly, many or most of these would turn out to be something prosaic. But go through some of these reports. Many of them are truly incredible, and many of them have indeed received followup investigation. They are unexplained, and – at least by our conventional wisdom – unexplainable. The combination of astonishing performance, powerful statements from selected senior officials, and steadfast silence and dismissal by our political establishment point to a problem. This is not merely the problem of cognitive dissonance. It is the problem a political system in which the wheels have fallen off the machine. It is imperative in the name of science and responsible public policy that we get those wheels back on, and begin a genuine, open, investigation of this phenomenon. We demand and deserve answers from responsible officials who ought to be in the know. And if they are not in the know, we all need to investigate and find out just who is. I watched this when it came out and we loved it. It was a breath of fresh air to hear so many people stand up and say what had to be said. I was always watching the panel and looking to see the expressions on their face. I still love watching it once in a while on Youtube. I’m reading your second book on the UFOS and National Security State and just got with your first one.So much information on all these sightings of UFOS. How can you not believe that they are real. It has been way too long.The government must disclose to the world. I want this game playing to end. 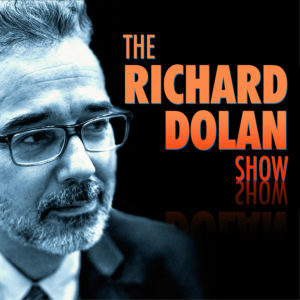 Thank you Richard Dolan for this web sight. We now have a place to express our feelings . I don’t think we will get all the answers about UFOs. If our gvt doing reverse engineering on these objects, it will be secret defense all the way. It is a race for advance technologies between world gouvernments, to make sure to be number one on the stadium. I listened to the youtube footage you put up for this and 5 years later you must surely find the whole situation maddening. I often feel like I’m arguing that the earth is round rather than flat when it comes to this topic and yet, today no one (aside from a distinct few ‘flat earthers’) would argue it was anything but round and the idea it wasn’t would be preposterous. I feel we will be in this position about UFO’s/ET in the future where we live in a society that can’t believe this was never the previously accepted paradigm because it was again, preposterous to believe otherwise. It’s like we are running a race and we have sprinted ahead of the disclosure pack and awaiting everyone to slowly, slowly catch up, accounting for the lowest common denominators before we finally move forward. 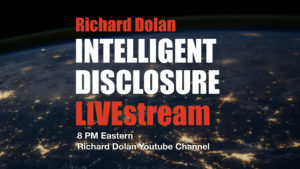 I doubt disclosure has much to do with religion or worldwide panic and more to do with the disclosure of technologies that could cripple world economies. That said, if we look back at previous technological innovations that could’ve achieved the same outcome (Telsa’s Tower) – one cannot help but feel that society missed a great opportunity because even such devices if constructed would require receivers and it is in the licensing of said products (akin to annual subscriptions for households, companies etc) where economies relatively easily could have overcome the transition from oil based economies. However, I digress, the continued denial by Government’s of the existence of ET/UFO phenomena is simply the equivalent of telling a population “No, the sky is green” – akin to propaganda machines, keep the message simple, repeat it often enough and people will believe it… except now… people aren’t as colour blind as the once were.